The European Telecommunications Standards Institute (ETSI) has postponed a vote on specifications for the next generation nano-SIM cards after rows erupted between Apple and several companies opposing their design, according to a report by French paper, Les Echos. 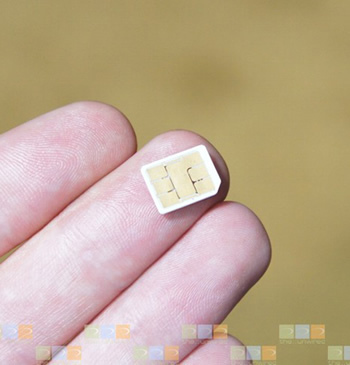 ETSI is working with manufacturers to come up with a new, fourth generation design for a smaller format SIM card which has been titled by many as the nano-SIM. However, the group had to cancel the vote, further delaying the ruling until at least June after the difference of opinion became so apparent it would have been impossible to fairly vote. Apple has said it would offer their SIM card design completely free of royalties to other manufacturers on the condition that it is adopted as the default nano-SIM standard. Despite the potential gains of a royalty-free standard, many disputed the design. After measuring it up, the new Apple nano-SIM is the same width and length of their current micro-SIM requires a tray mechanism. Nokia, Motorola and others opposed the proposal arguing that the use of such a mechanism added unnecessary bulk, complexity and cost to devices that would use it. Nokia’s design proposal is said to be 23-percent smaller however, which Nokia claims is more in-line with the ETSI’s specific requirements. Adding to the confusion, Nokia is now threatening to withhold around 50 crucial patent families if the Institute votes in favor of adopting Apple’s design. "We are not prepared to get into a position where our technology is used to implement a standard that is technologically inferior, and doesn't meet ETSI's own requirements," said Mark Durrant, Nokia's director of communications when speaking to the BBC. Those disagreements have now boiled over, with Research in Motion also sending the ETSI a letter accusing Apple of attempting to sway the vote after discovering company representatives changed their affiliations to Bell Mobility, KT Corporation and SK Telekom -- a method that the Canadian phone maker argues is unfairly giving them crucial extra votes to use in its favor. Apple has not responded to requests for further comment.